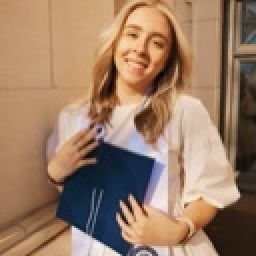 The spin-off to Dear Sydney will be about Aria Hall, Connor&apos;s younger sister, and her relationship with Brenden Sarth, a California boy who she met while vacationing in Sacramento during the last few chapters of Dear Sydney. It will be called Love, Aria and is able to be read as a stand-alone book, since it is a spin-off and not a sequel. The official summary is below, so please comment your thoughts and if this is something you&apos;d be interested in reading to continue the story of Dear Sydney! "Long-distance relationships are often met with rolling of the eyes and the sympathetic "Hope it works out!" response. Yet after seeing her older brother Connor make it work with his long-time girlfriend, Aria Hall thought that she too could make it. Brenden Sarth didn&apos;t understand what Aria did. He didn&apos;t know how to make it work. And he screwed it up. For both of them. Now, he&apos;ll do everything he can to win Aria back, but he might not be enough. And when you live 3,000 miles apart, it&apos;s hard to force someone to talk to you. Written completely in text messages, social media posts, and letters between two ex-lovers, "Love, Aria" takes the dynamic of a long-distance relationship from "Dear Sydney" and brings it to a new level of depth and intrigue. 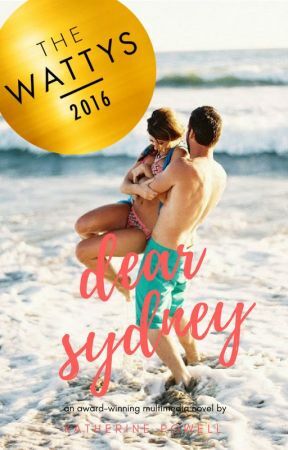 Using screenshots and emotional letters, this story, set two years after the end of "Dear Sydney", spins a tale of heartbreak, denial, and ultimately, love." Let me know your thoughts! I will upload the summary, cast, and trailer within the next few days/weeks, and official updates will begin on September 4th, and unless I decide differently, will continue to be a Wednesday/Sunday upload schedule! I hope you guys will continue to be as supportive of Aria&apos;s story as you have been of Connor and Sydney&apos;s! You&apos;re the best readers I could ask for and I love you guys so much! So, a new chapter in the California/Virginia story begins! Goodbye Dear Sydney, and hello Love, Aria!